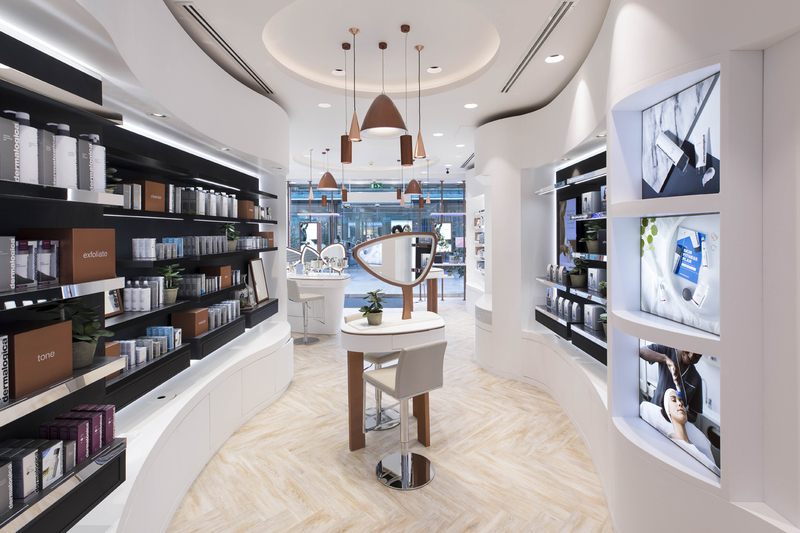 Limeblue design largest UK flagship store for Dermalogica. 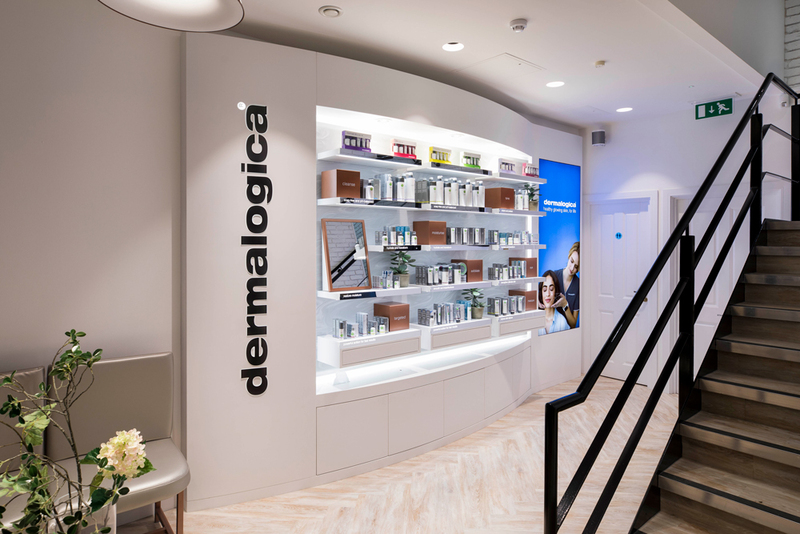 Limeblue is proud to announce its latest design for long-standing client, Dermalogica and their new and largest UK flagship store in London’s Duke of York Square. The vision was to create a multi-sensory environment that would fully engage with the customer via sight, scent and touch. 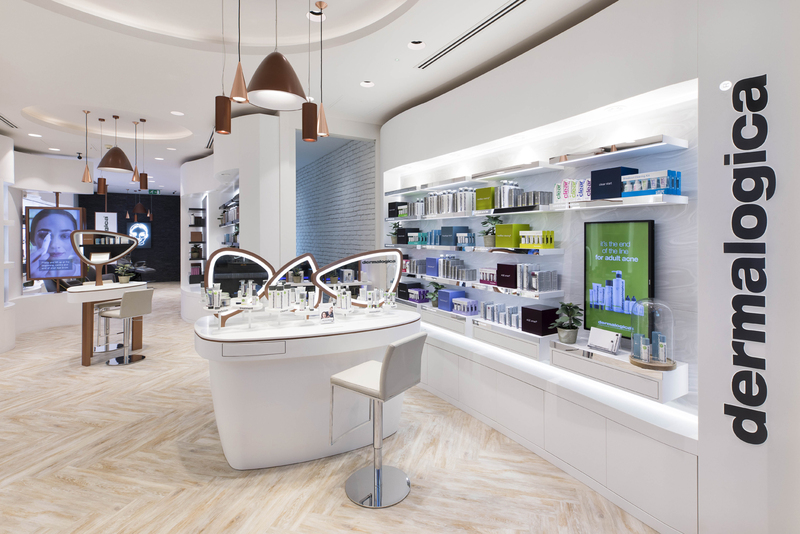 Limeblue’s approach to this was to divide the 1,500sq ft space into clear and distinct areas with a coherent design scheme that guides the customer on a visual and interactive journey. 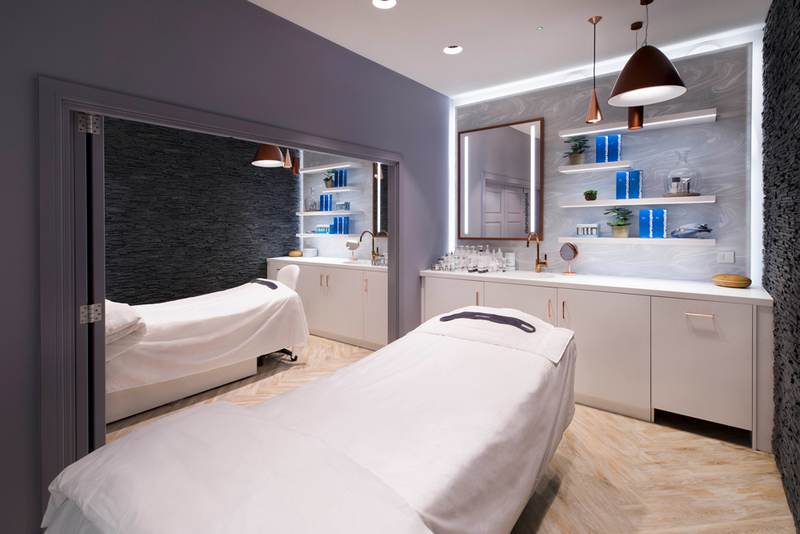 This was achieved through the use of sleek white curves, contrasting textures and materials, touch screen technology and unique lighting systems. The interactive Skin Bars are constructed with high-quality Corian and stylishly finished in contemporary Glacier White. 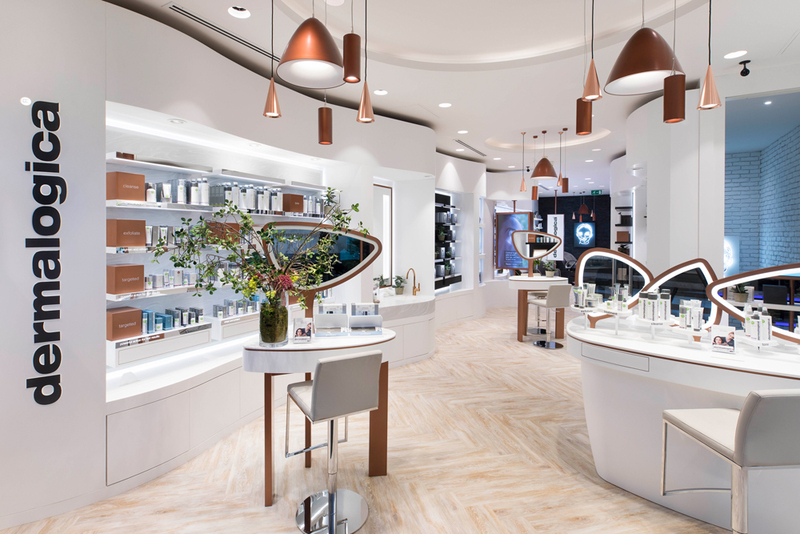 Each Skin Bar features copper edged mirrors in interesting oval shapes with integral lighting that gives the skin a natural and healthy glow. These are placed at the front of the store to encourage customers to stop and look at the products. The lighting contains a unique filter control system called ‘Beauty’ that gives skin a flattering and healthy glow. 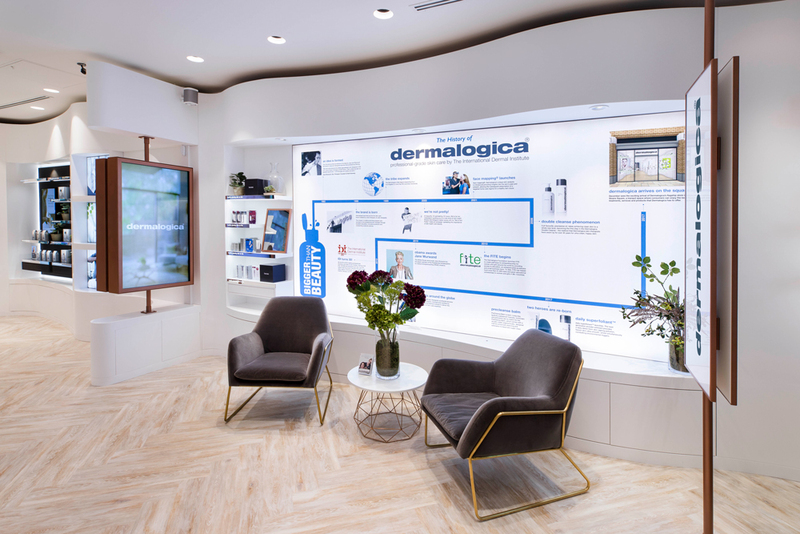 Sourced from Targetti in Italy, Dermalogica are the first store in the UK to use this system. 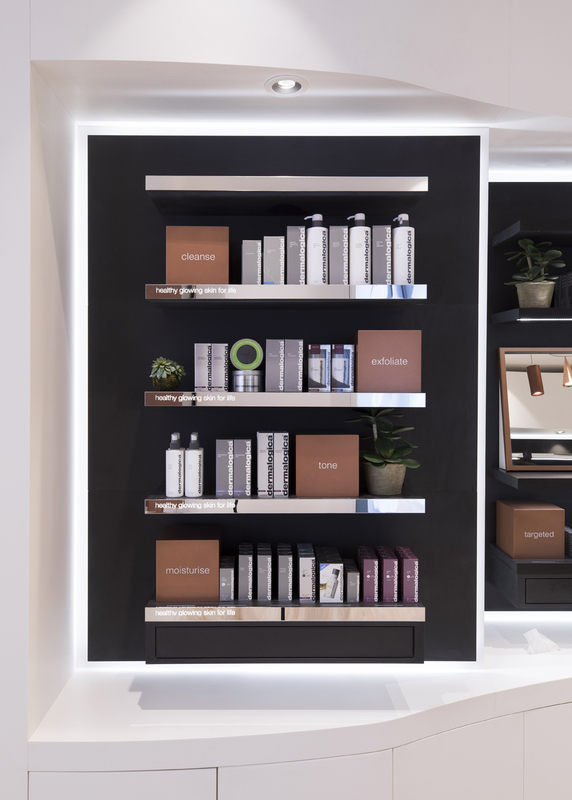 The layout of the retail area has been methodically designed to provide the Dermalogica team with easy and practical access to their supplies, which are arranged in the same order in each cupboard under the shelves. 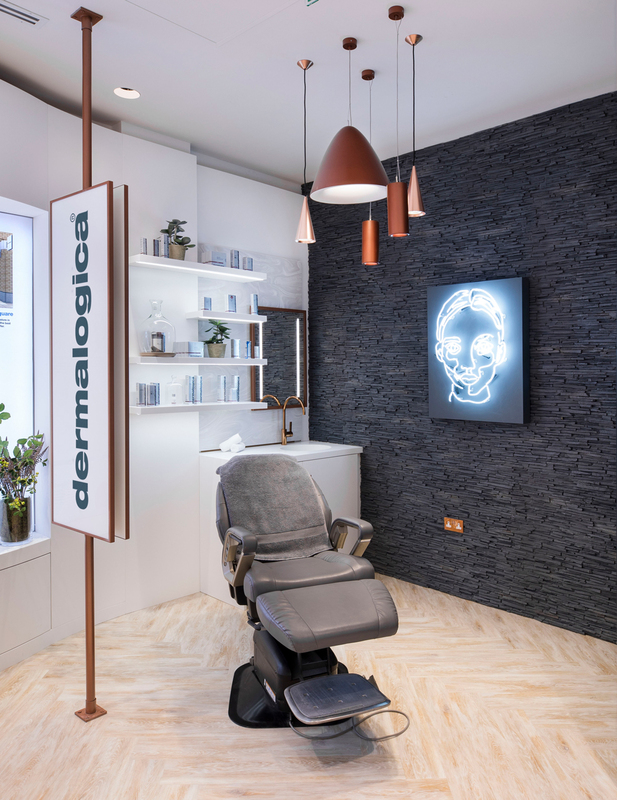 Towards the back of the store, the textured ‘Panelstone’ slate-effect wall, from PanelPiedra, features a prominent neon sign of a face that creates intrigue to passers-by who can see the sign from outside. The wood-effect limewashed chevron flooring, from Amtico, has been used to cover the entire floor area and gives the store a warm and homely touch. 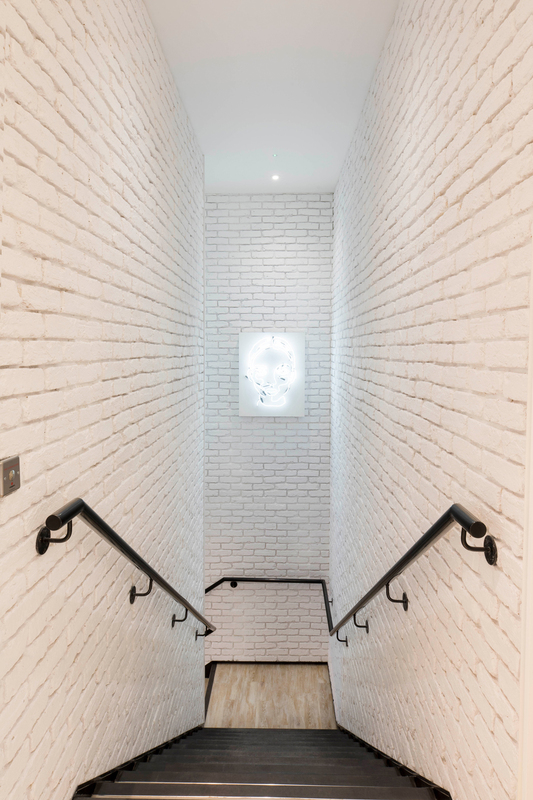 A prominent ‘Panelstone’ white brick-effect wall leads customers downstairs to the treatment rooms and VIP area. This area has an exclusive and welcoming feel thatis designed to make the customer feel unique and special. 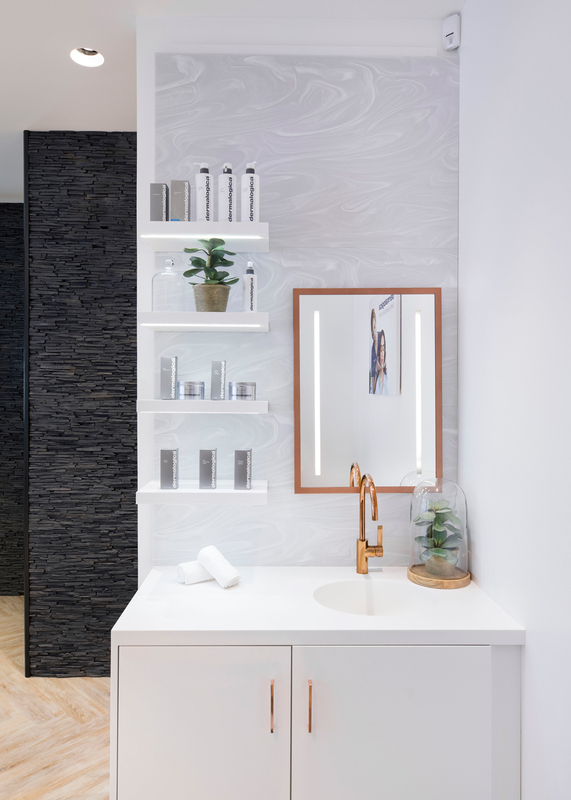 Adjoining the waiting area are two luxurious treatment rooms featuring a textured ‘Panelstone’ slate wall, white Corian shelving and a swirling marble-effect Corian back wall. These rooms have an opulent wellbeing aesthetic that are enhanced with the use of warm copper fixtures and the soft ambient glow of ‘Beauty’ lighting.